Every trip has a few curves and tangles, but this trip had them all! Jim and Shari Whittle report…. It started early Sunday morning at Baggage Claim in Mumbai – 45 minutes for the first bag to come off the belt. Then our airline didn’t have a counter in the new terminal so we had to rent a taxi big enough for 4 people and 12 bags to get to the other terminal. Sunday afternoon as we rested, the worst noise imaginable was outside our window – AC fan broke. Monday morning we awoke with no water and didn’t have hot water for a couple days. No worries – conference starts Tuesday and we have a day to get ready. After breakfast Monday I casually asked Swarupa what time to come back for lunch. She said, “Lunch is at the conference.” Uh-oh! We were starting in 2 hours – time for cold bucket baths! On Thursday we flew to Delhi and took two taxis to the hotel – the rear taxi got lost. Friday we woke early for a 5 hour van trip for the six of us to visit the Taj Mahal in Agra. We arrived at lunch-time and pulled up to an empty gate – where is everybody? Oh! – the Taj is Muslim and it’s Friday – closed (That’s why the highway was empty). We were able to take pictures across the river from the garden, and the fort/palace was open – awesome. Five hour drive back to Delhi. We awoke at 3 am Saturday to catch the only flight to our weekend destination in the Himalayas. Flight is delayed 3 hours then cancelled. They put us on a flight to Chandigarh (half way) and booked taxis for everyone – we were in 2 of course – 10 hours later through the Himalayan switchbacks we’re near our hotel but lost in the dark in the rain on the narrow road on the mountain. A day of rest in the beauty of the mountains has turned into a 19 hour trip. Then 8 hours of driving on Monday to our conference. Sunday was nice at the top of the world. The beauty of this whole montage of trouble is that the Women’s Conference and the Marriage Conference were fabulous. The scriptures were faithfully taught, marriages were immediately impacted, and Curt and Gina began what is hopefully a long partnership with ELI. 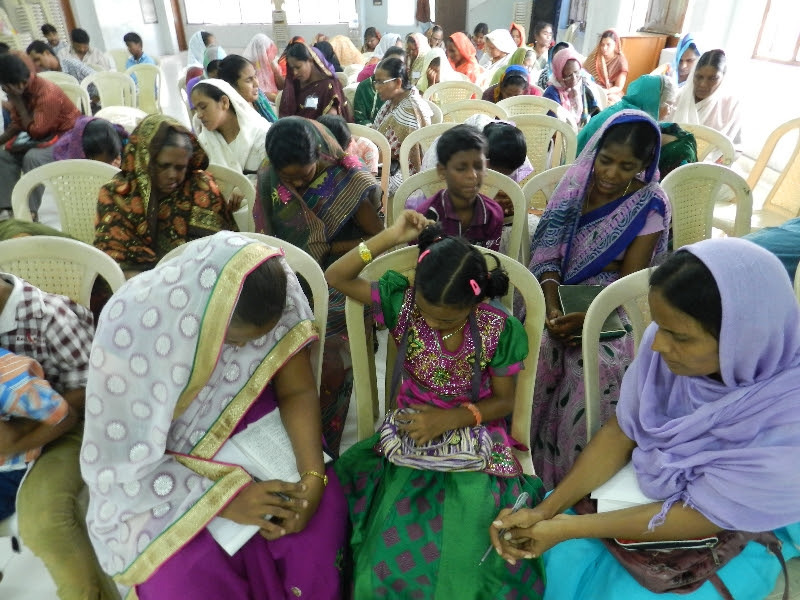 This conference was the third of a series of three Women’s Conferences, and the subject this time was leadership development in women’s ministry. In order to develop leaders it is necessary to identify specific ministry skills and habits, and then establish training to bear that fruit. We have identified 10 basic habits for a leader, divided between loving God and loving Neighbor. The vertical habits are Scripture reading and study, Prayer, Daily Repentance, Corporate Worship, and Giving. The five horizontal traits correspond to the vertical: Evangelism & Discipleship, Hospitality, Reconciliation & Forgiveness, Service, and Generosity. It’s not possible in three days to train people in all these areas. The conference was designed to give them an overview and a beginning framework to build upon. 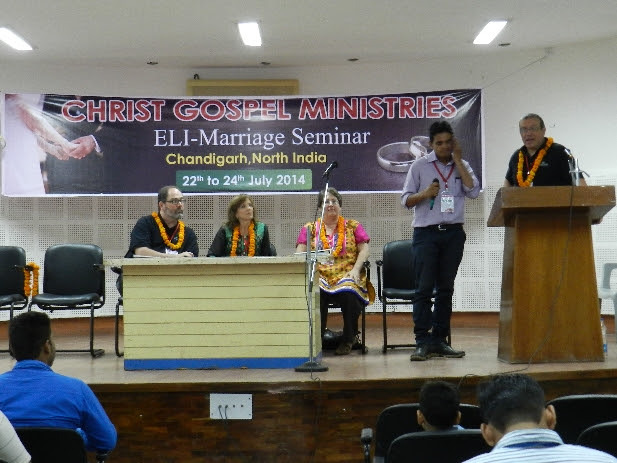 Chandigarh is a new region for ELI & CGM (Christ Gospel Ministries) and our starting path is always marriage. By starting with training in a Christ-centered marriage we address the greatest need in the pastor’s family and their church. It also avoids arguments that come from beginning with theology and doctrine and hot buttons, and yet the gospel of grace is revealed as the foundation of life in God’s kingdom. Family illness and travel issues led to a smaller conference than usual, but the relative intimacy allowed for more interaction along with Q & A. It’s so refreshing for us to see the gospel address cultural errors, with the result being public confession of sin by husbands who are harsh with their wives. We saw plenty of fruit of repentance in three days. Thank you for praying for us! !